A Memorial Service for Patsey Ann Gamblin, age 82, of Sulphur Springs, will be held at Trinity Harvest Church, 1150 Shannon Road East on Saturday, December 16, 2017 at 11:00 AM with Pastor Ray Evers officiating. No visitation has been scheduled. Mrs. Gamblin passed away on Saturday, December 09, 2017 at her home in Sulphur Springs. She was born on July 14, 1935 to Horace Hart and Grace Williamson Hart in Plainview, TX. Mrs. Gamblin was a homemaker. She had also worked at Lou Nells, K-Bobs and as an aide at Austin Elementary school. 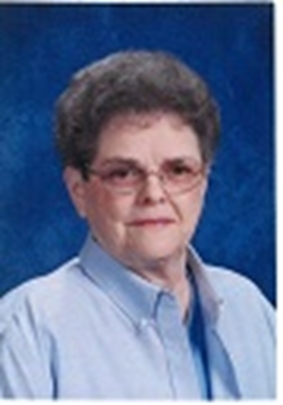 She was a member of the Trinity Harvest Church in Sulphur Springs. Survivors include: her husband, Gayle Gamblin; grandchildren, Nicole Lowrance of Sulphur Springs and Remy Gedrose of Georgia; uncle, Raymond Hart of Tennessee. She was preceded in death by her parents; daughter, Trish Gamblin; son, Gregory Debs Gamblin; sister, Mary Jo Hart; niece, Lori Brzeski.